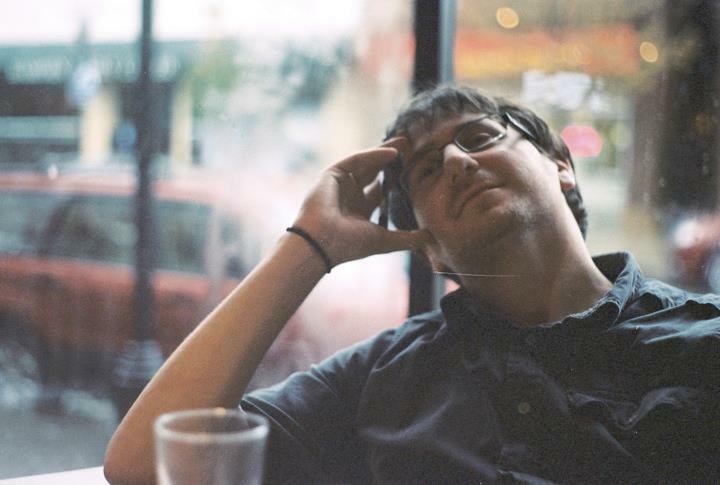 To add to its list of recent acquisitions, Automattic snatched up New York startup Scroll Kit last week, and added its creators to the WordPress.com product group. 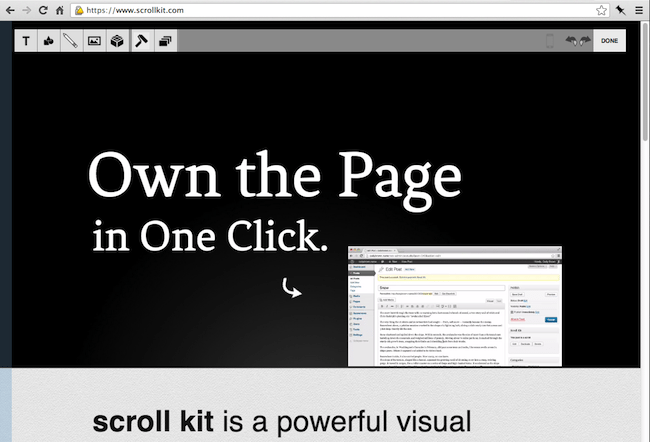 If you haven’t heard of it, Scroll Kit is a visual website building tool, with a snappy drag and drop interface. Their platform features simple WYSIWYG tools that allow users to create a simple one-page website simply by dragging images and text around a page in pre-configured templates. These tools were able to recreate the NY Times “Snowfall” website in just under an hour, and allow people to create a series of “scrolls” or small, customized content experiences to share. As a result of the acquisition, Scroll Kit will be shutting down in coming months—phasing out to read-only in three months, then removing the site entirely in six. How much of the scroll kit platform will actually make its way into WordPress.com is uncertain. It can range from integrating the platform itself into the WordPress.com editor, or simply using the Scroll Kit team for their talent and code contributions. We will have to wait and see what Matt Mullenweg has in store for them. What’s more interesting is how the Scroll Kit team may be able to inform or influence the WordPress software itself. The only previous connection between Scroll Kit and WordPress was a simple plugin which allowed you to edit WordPress posts and pages with the Scroll Kit editor. The interface was a little clunky though. The Scroll Kit platform would output HTML and CSS in the end which would need to be copied and pasted into the post editor. If this HTML and CSS can be presented visually, and stored in the back-end appropriately, then the visual editor may get a bit cleaner. Their drag and drop interface could become a foundation for a more cohesive front-end editing experience (maybe even content blocks?). WordPress 3.9 included a few features geared more towards visual editing and enhanced previews for themes, galleries, and post editing. I can’t help but be curious about where this is heading, and how the WordPress platform will continue to serve the democratization of web publishing. The Scroll Kit team is clearly passionate about WordPress, and excited about their acquisition. I can only assume that their efforts can enhance the platform. What do you think of the acquisition? Share your thoughts in the comments below!